There is the potential for heavy rain, flooding, high winds and landslides over the next couple of days according to the National Weather Service. 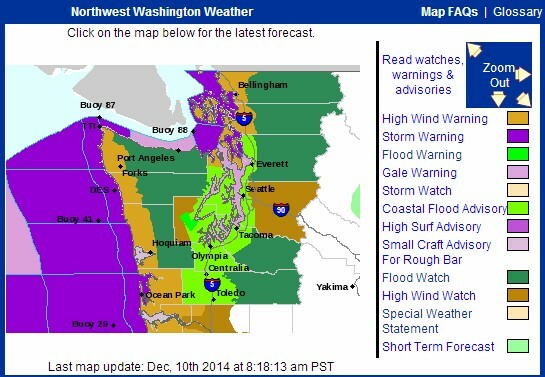 A flood warning remains in effect for the Skokomish River. Forecasters says another weather system will move through the area with three to five inches of rain expected along the south slopes of the Olympic Mountains which will keep the River above flood stage. 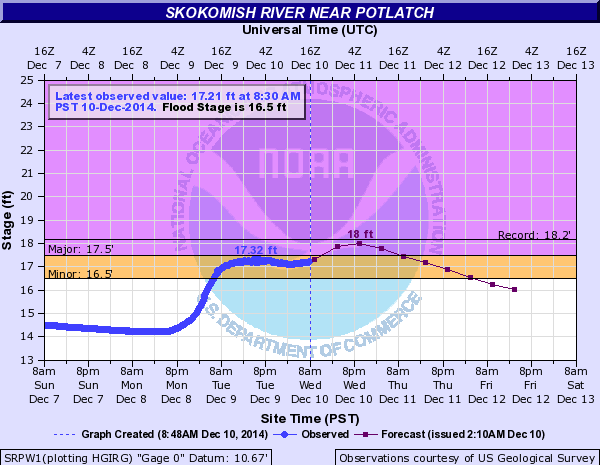 The Skokomish is expected to rise to near record level about 10 PM Wednesday night. 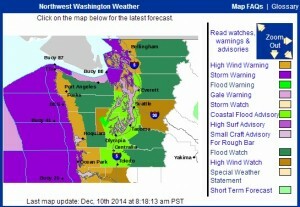 A high wind watch is also in effect. Winds are expected to increase Thursday morning. South to southwest winds of 30 to 40 MPH with gusts to 65 MPH could develop. Wind this strong can topple large trees – especially with the saturated soil from recent rail – and cause power outages. Forecasters are also warning of the increased risk of landslides. With the rainfall over the last week and the predicted rain that is coming, that potential for landslides has increased especially during bursts of intense rain or when there is heavy rainfall over a period of a day or two.